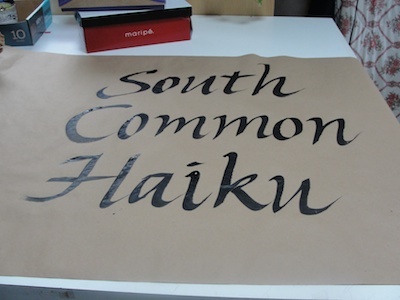 Here is South Common Haiku lettered on brown paper for a sandwich board sign for today's event. After it dries, I'll trim it. I'm packing up the materials—string, hole punches, scissors, velcro coins, bone folders, and haiku cards. 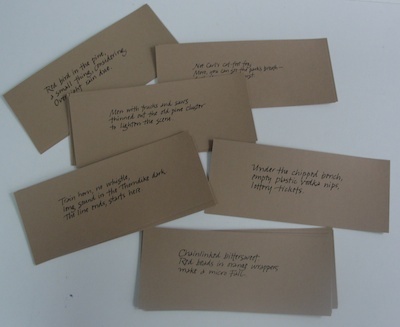 It will be a true community effort—attendees will read the poems and bind the books.